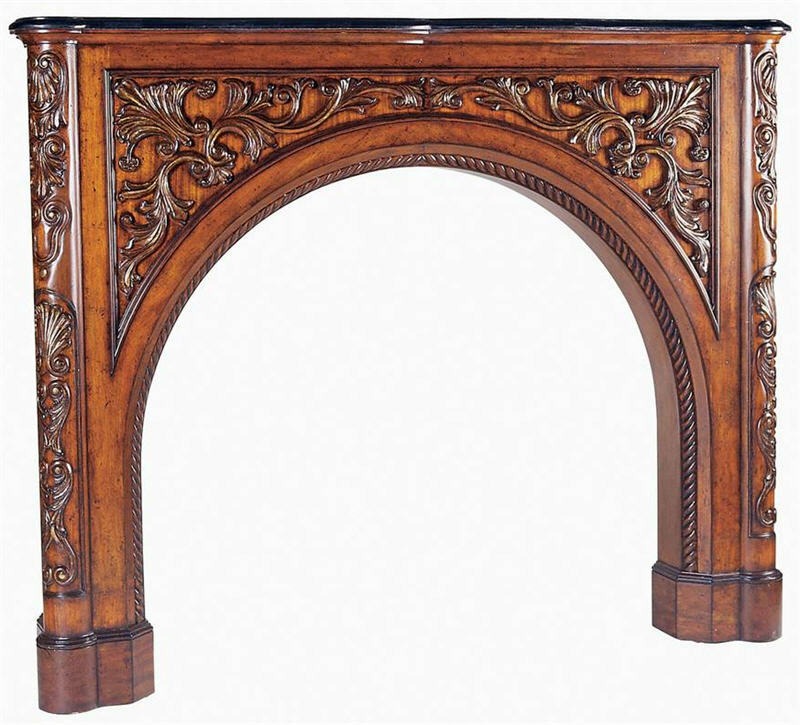 Dimensions W:78.5" x D:12" x H:63"
Crafted from solid hardwood and finished in a warm mahogany, this arched 78.5" Fredericksburg Fireplace Surround boasts intricate carvings and a black granite stone top. 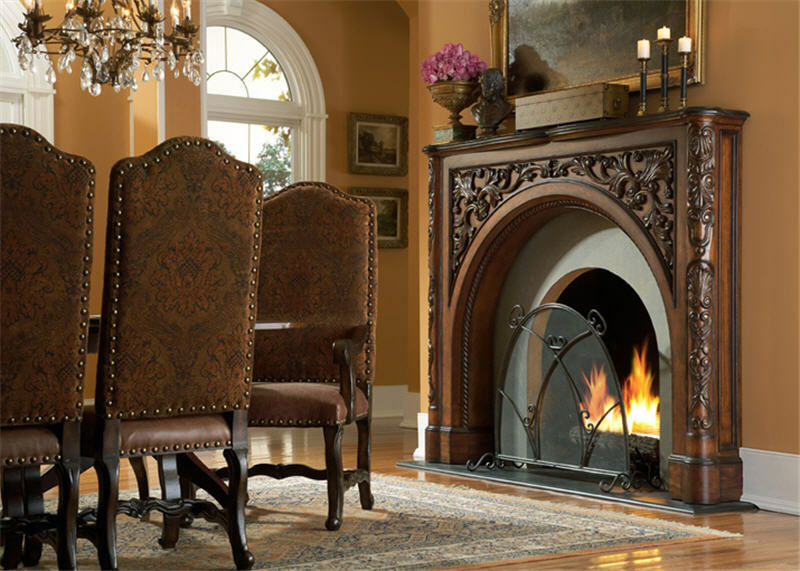 Truly a builder friendly fireplace surround, the select hardwood solids used in Ambella Home Collection Fireplace Surrounds are carefully selected and hand crafted to perfection. Exterior Dimension: W:78.5" x D:12" x H:63"
Interior Dimension: W:56" x D:12" x H:49"